Weird how people perceive things differently i was at Queens Square. My recollection is that me and my mates all had a load of beer round the centre and entered early as the support act was the streets who were quite big at the time. Upon entering we were told you would not be allowed re entry if you left. Once inside there was 1 burger van, 1 beer tent and about 10 toilets for a crowd of about 15k. Also as Queens Square is flat only those 6foot plus could see anything. We all left about half hour from the end as desperate for the loo and dying of thirst also I like the music of MA but surely they just press go on their synthesiser. It’s not really live music is it?? Famara Diedhou - cult legend in the making? Very strong rumours that my employer Babcock, is moving from their Ashton site to the old DuPont site in Bristol Buisness Park up by UWE. 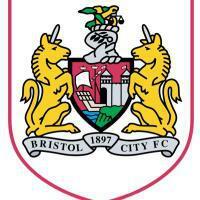 Anyone think Bristol Sport may be interested? ?